We are proud to offer the first real and longlasting solution for rippled skin your rear or thighs known as cellulite. You can exercise all you want, but cellulite isn't a product of fat, it's due to fibrous bands that tether the skin down in certain areas of the skin. 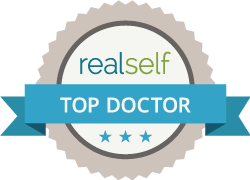 Dr. Swann says it best, "Cellulite runs in families and people are often quite embarrassed by their dimples. I have never seen a technology truly make celluite go away before Cellfina." The technology behind Cellfina actually breaks these little fibrous bands, allowing the skin to smooth back out naturally over time. What's more, cellfina has been around for several years and the cellulite isn't coming back, which is really exciting. This is a minimally-invasive surgical procedure using small needles with suction and vibration to break these fibrous bands. So be prepared to wear whatever swimwear and workout clothes you want. With Cellfina, that embarassing little spot will be no more. For more information or to set up a consultation, call Swann Dermatology & Esthetics at 417-888-0858 today.